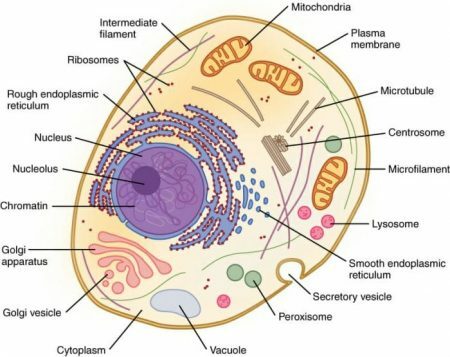 There are 13 main parts of an animal cell: cell membrane, nucleus, nucleolus, nuclear membrane, cytoplasm, endoplasmic reticulum, Golgi apparatus, ribosomes, mitochondria, centrioles, cytoskeleton, vacuoles, and vesicles. A cell is the smallest unit of life; cells tend to be 1 – 100 micrometers (μm) in diameter, and each cell, while typically specialized in function, carries out the basic activities of life. Cells generate energy through the breakdown of nutrients and store that energy for future use. Cells also create the proteins for which a blueprint live in the cell nucleus. When cells work together, as they do in multicellular organisms, the cells form groups called tissues, which in turn group together into organs. Organs are therefore arrays of cells all working together to perform a bigger picture function. 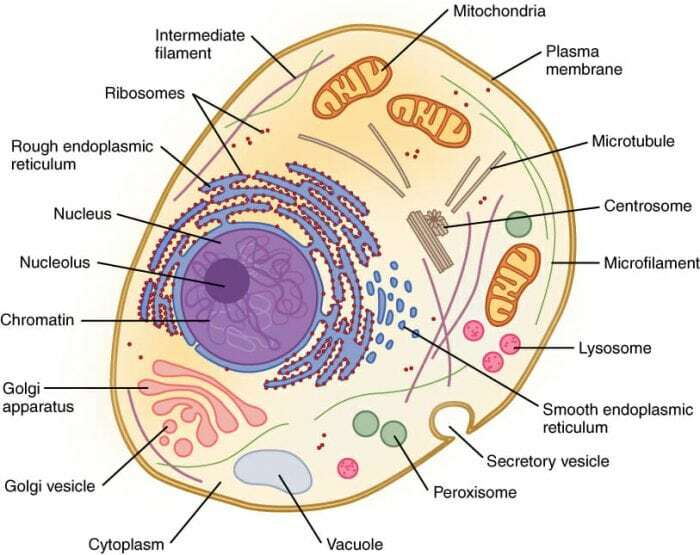 An animal cell is any cell found in an organism from the kingdom Animalia. 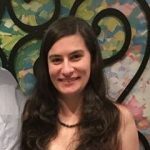 Animal cells may be different sizes and shapes and may carry out a wide range of actions which tend to be specialized depending on the type of animal cell. An animal cell is a type of cell that differs from plant or fungi cells. Like plant and fungi cells, an animal cell is eukaryotic, but animal cells lack the cell wall structure found in plant and fungi cell types. Animal cells also do not contain chloroplasts as plant cells do, as animal cells are heterotrophic and do not perform photosynthesis. Animal cells are surrounded by a cell membrane and contain organelles which perform various functions required to keep the cell alive and operating normally. What Are the Key Parts of an Animal Cell? The cell membrane is the outer edge of the cell and forms the boundary between the inside of the cell with all of its organelles and the extracellular matrix. 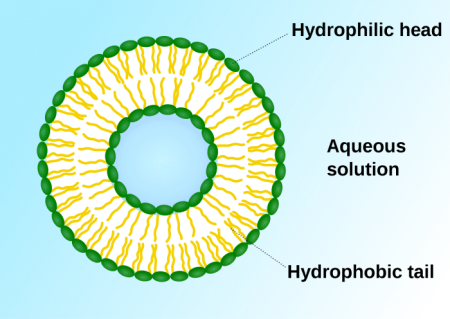 The cell membrane is composed of a lipid bilayer, which forms spontaneously in an aqueous environment as the hydrophobic tails of the lipids press together while the hydrophilic head groups of the lipids form a protective boundary to keep water out of the centre of the membrane. Embedded within the cell membrane are all sorts of macromolecules such as glycoproteins, which act as recognition sites or aid in stability, and channel proteins, which allow certain materials in and out of the cell. The cell membrane is semi-permeable, which means that only certain molecules are allowed to pass through the membrane easily. Other molecules must use the channels in the membrane to gain access to the cell. The selective permeability of the cell membrane allows the cell to regulate itself and maintain homeostasis. The nucleus has two main functions: it contains all of the deoxyribonucleic acid (DNA) of the cell, and it directs the activities of the cell. The DNA molecules found in each cell are the blueprints for proteins, which perform extensive and varied functions within living organisms. In order for the long strands of DNA to fit within the nucleus of the cell, the DNA molecules are wound around histones (a type of protein) to form chromosomes. The primary activities of the cell that are controlled by the nucleus are growth, division, and protein synthesis. 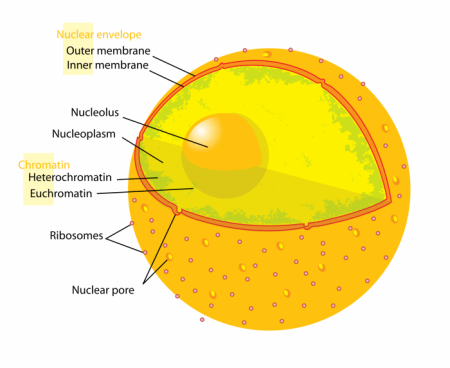 The nucleolus is a small area within the nucleus where ribosomes are made. Ribosomes are described further down in this article. The nuclear membrane is similar to the cell membrane, except that it surrounds the nucleus within the cell, and performs less of a regulatory function. The nuclear membrane is porous and allows RNA and proteins to pass in and out of the nucleus. 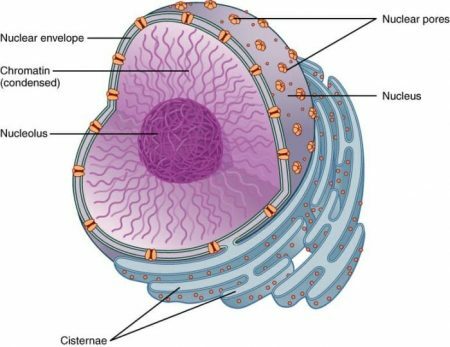 The nuclear membrane is an important feature of eukaryotic cells; eukaryotic cells contain a “true” nucleus, and the nuclear membrane is the structure that defines the boundaries of the nucleus. The cytosol is a thick, gel-like fluid that fills the space inside of a cell, and in which the organelles are suspended. The name of the total contents of the cell, minus the nucleus, is the cytoplasm (the cytosol plus the suspended organelles). 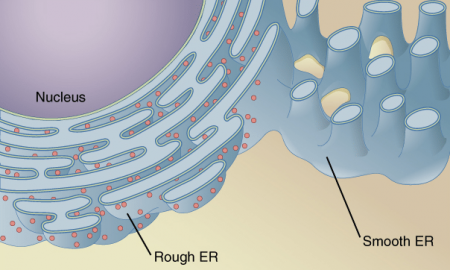 Endoplasmic reticulum is composed of interconnected membranous channels called cisternae and is connected to the nuclear membrane. The endoplasmic reticulum functions in transportation and modification of molecules. Endoplasmic reticulum may be rough or smooth; rough endoplasmic reticulum has ribosomes bound to its surface, and smooth endoplasmic reticulum does not. The rough endoplasmic reticulum modifies and transports the proteins made by the attached ribosomes for use or further modification. The smooth endoplasmic reticulum modifies lipids and steroids. 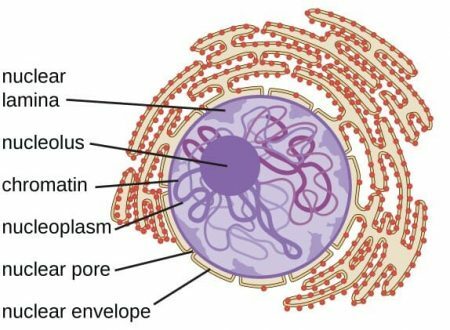 The Golgi apparatus is also made of cisternae that are not interconnected. 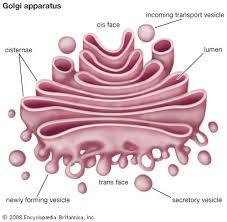 The Golgi functions in packaging and shipping. It takes molecules produced by the cell, such as proteins and lipids, modifies them if necessary (such as folding for proteins), and packs them into vesicles so that they can be shipped around or outside of the cell. Ribosomes are organelles made of ribonucleic acid (RNA) and protein and are either attached to the endoplasmic reticulum or suspended in the cytosol. Ribosomes facilitate protein synthesis. Mitochondria are large organelles that have both an inner and outer membrane, as well as their own mitochondrial DNA. 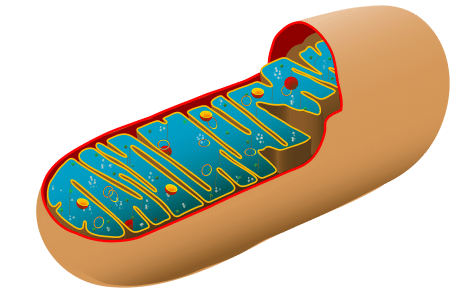 Mitochondria are the site of cellular respiration in cells, where oxygen and glucose are converted into adenosine triphosphate (ATP), which cells use for energy. Centrosomes contain centrioles; the centrioles are small gatherings of microtubules that help with cell division during mitosis. The centrosomes organize and synthesize microtubules. 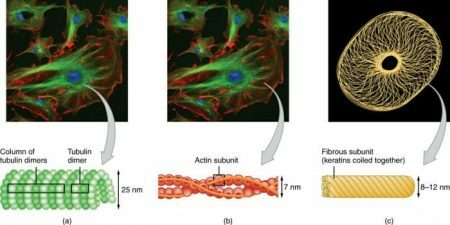 The cytoskeleton is composed of a network of filaments and tubules that allows the organelles of the cell to remain in place and gives the cell strength and shape. 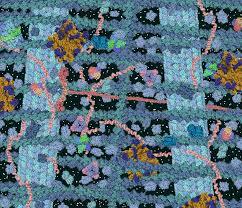 The cytoskeleton can also play a role in transport within the cell. Vacuoles are small storage pockets formed of a single membrane layer containing gas (such as oxygen or carbon dioxide) or fluid (such as water) found within cells. Vesicles are similar to vacuoles but are part of the transportation system of the cell. Specialized vesicles can also be involved in cellular metabolism. Lysosomes are specialized vesicles in which protein enzymes are contained. The lysosomes break down macromolecules into their components for further use by the cell. Peroxisomes are common in animal cells and perform oxidative digestion. Previous Post« Previous What Is The Genius IQ Level?